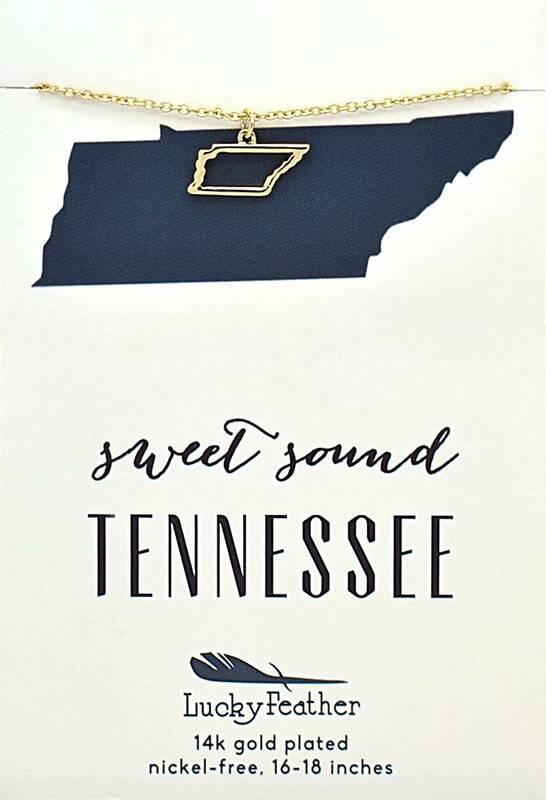 Sweet sound, Tennessee. 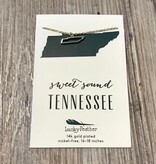 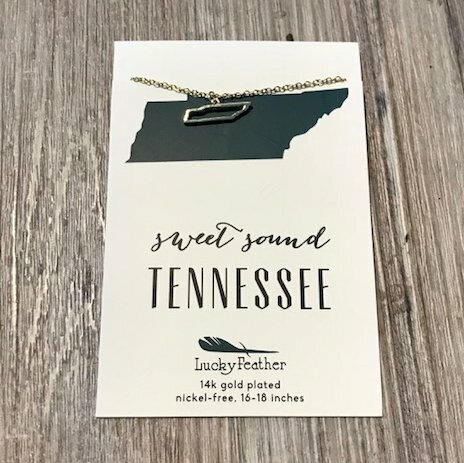 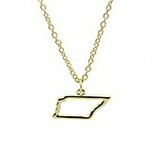 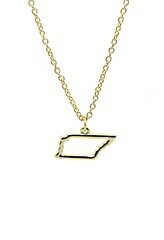 Wear your pride with this 14k gold dipped Tennessee state necklace. 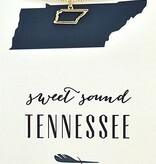 Easily adjustable from 16-18" in length and packaged on a stylish and colorful card with the state silhouette.